Two regional police commissioners have signed an innovative new plan aimed at cutting reoffending. 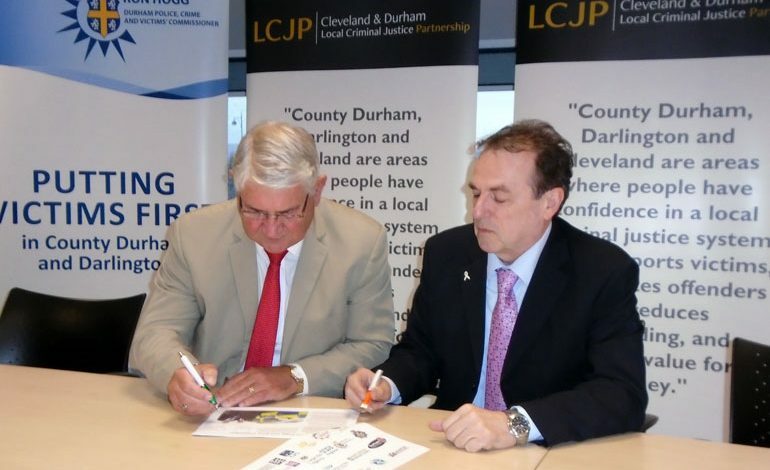 Police, Crime and Victims’ Commissioner for Durham, Ron Hogg, and his colleague for Cleveland Police signed the new agreement at the Crown Prosecution Service offices in Middlesbrough. The Cleveland and Durham Local Criminal Justice Partnership brings together agencies with responsibility for delivering criminal justice, and services for victims and people who have offended. The partners have agreed a clear vision: ‘County Durham, Darlington and Cleveland are areas where people have confidence in a local criminal justice system which supports victims, rehabilitates offenders and reduces re-offending, and delivers value for money’. Ron Hogg said: “This is a key moment for the partnership. “Not only is this the first time that partners across the criminal justice system have formally signed up to a joint improvement plan, but it also includes other public services – including local councils and the health service – which provide services to support victims and people who have offended. Barry Coppinger said: “This plan is about better coordinating the work of criminal justice partners in Cleveland Durham to deliver improved services for victims, better rehabilitation of offenders and make the criminal justice system process more efficient and effective. 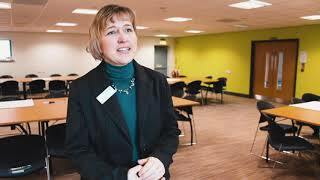 Bronwen Elphick, Durham Tees Valley Community Rehabilitation Company chief executive, added: “We are delighted to be able to sign up to this plan where all local partners are working to reduce crime and support victims in our communities. Next article Greenfield really HAS got talent!